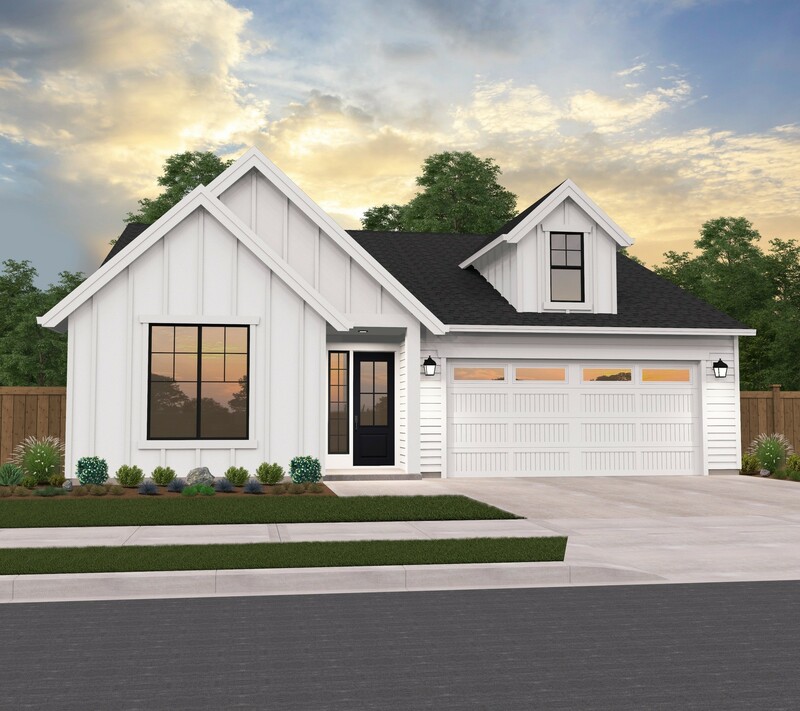 Mark Stewart Home Design is on the leading edge of the recent surge in farmhouse style homes, and this three bedroom farmhouse is part of a brand new collection of these designs. 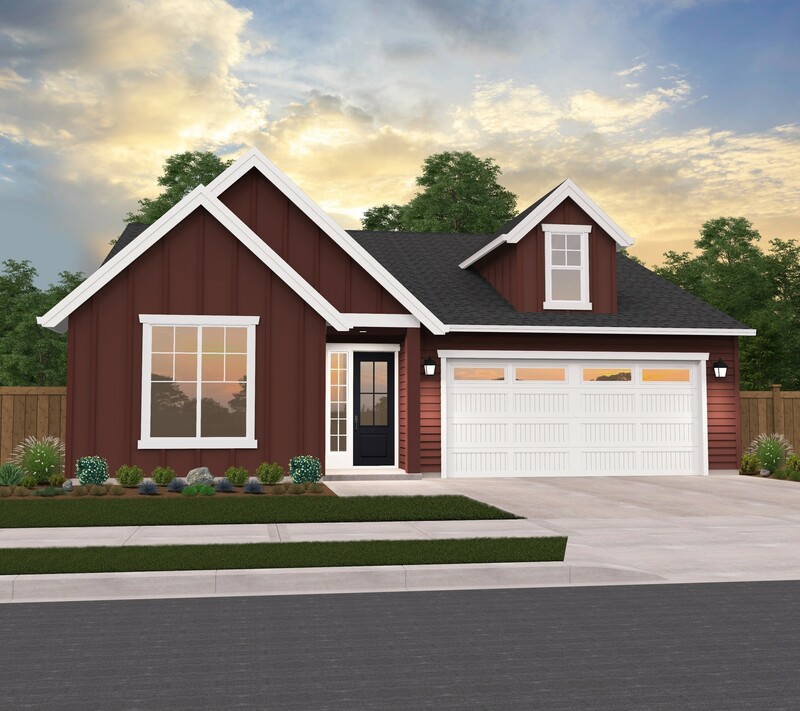 A farmhouse plan is marked by rustic materials, comfortable and functional floor plans, and traditional exteriors and roof lines. This home is carefully thought out in order to provide the livability and privacy of a much larger home. The master suite has been placed at the rear right corner of the home, away from the additional two bedrooms at the front of the home. By placing the bathroom in between these two bedrooms, you gain an additional level of privacy. The vaulted great room, dining room, and kitchen are presented in an open concept layout in order to achieve a greater sense of flow and to retain the familial feeling one expects from a farmhouse.